Summary: Fight for the freedom of Beleriand with the eldar and the elves or enslave them with Angband. 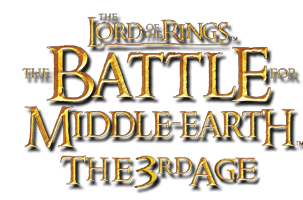 The Four Ages is a mod for the Battle for Middle Earth 2 based on the world of the Silmarilion of J.R.R. Tolkien, where you'll be able to revive the best stories of the book. Since the slaughter of Alqualonde to the fall of Gondolin. The Factions will be the Elves, the Men, the Dwarves and Angband. Every faction will have minifactions. So you can create separate camps like Tol in Gauroth or the Easterling men of Angband and others minifactions if you're playing with the other factions. Also, units will be able to go up the walls, just like in BFME 1. Battles will be more spectacular since you'll be able to incline the camera and see the map just like an action game. Also, we'll include a very big campaign, where you'll be able to attack or defend Gondolin, destroy Angband, or kill the elves of Alqualonde. this mod turns me on (in very lots of ay so think whatever you want) this mod is hot and the creator too!! i mean morgoth but may be the guy too, awesome, i do not got many abilities but i´d love to help in something whatever, if i could do something, and could someone please kill the ones who critic this mods >_< they piece me off!! can´t wait to play with angband waiting so exited for next beta!!!!!!!!!!!!!!!!!!!!!!!! Why are BFME 1 battalions in the game :-/. I prefer BFME2 and ROTWK for a reason >:(. I found a lot of glitches, such as the angband walls are too short and thin to be realistic, and they have a gap between the walls and the wall hubs. Also, you need to place an upgrade button for some of the structures, namely, the seige works. It would also be better if you added a build gate button for the walls, add more heroes, and it would be better if you added Sauron either in his normal armour or as Annatar. Alos, it says that Sauron is Sauron's ally...you might want to fix that. And You should make the wall hubs into battle towers, and make them wide enough for units to walk through, and really tall. In addition, it might be a good idea to make the spikes on the fortress smaller, and only on the first level, and REMOVE THE LADDER ON THE OUTSIDE OF THE FORTRESS!!! Besides all that, though, the Four Ages mod is AWESOME!!! And i love the ideas you came up with for the Dwarves. Oh, by the way, you should have a balrog-sized Morgoth as a Ring-Hero, and have Beren One-hand, Hurin, and Turin Turambar as heros for men. I mean, you can't have Glaurung without being able to torment Turin for a bit of fun! You, know, i hope you fixed the glitches named in my last comment and fixed them earlier, and one other thing. THE SOUNDTRACK IS WRECKED!!! I can't get even a single decible of sound to come from my computer! But can you try to fix that, and to put out a new beta version so we can test your current progress? Sorry for the really long comments, but Angband is WAY overpowered when it comes to single units, and the subfactions are underpowered. They both need more heroes, the ghost don't walk through buildings like they're supposed to, and sorry to say, but the new model of Sauron looks kinda stupid. Just make him a bit more like how he was in the original game, just with a few differences, and not as powerful. Once again, just to keep you updated on the glitches i found in the first beta version, the Balrogs do about as much damage as a injured goblin without their whip. Sauron cannot change to his original form after he shape-shifts, and though i did get the sound to work, i have to turn it up really loud to hear anything. I also think you should use the Silmarillion instead of the ring or evenstar in all cases, and that you should create your own loading video for Beleriand and Angband, not the rest of Middle Earth. Also, the raiders move too fast, the orc shaft is and instant build, the orcs themselves cannot upgrade and are as weak as the balrogs, the dragons die to fast, and you cannot build trolls, betrayers, catapults, seige towers, or beserkers because their respective build structures are non-upgradable. Seriously, Morgoth946, i would suggest that you FIX THESE GLITCHES! THEY ARE RUINING THE MOD!! By the way, did i mention that for realism, you might want to make the walls taller and wider, and create a build gate button, a build catapult expansion button, and a build battle tower expansion button for the wall segments. And make the walls a little taller than the gate would be. Oops, forgot to mention, Glaurung can't attack. He is completely useless in a fight. And when he breaths fire, it ends up coming from his neck, not his mouth, like it's supposed to. Sorry for the HUGE comment block, but i had found a ton of glitches and i thought i might point them out to you, and give a few ideas of my own.